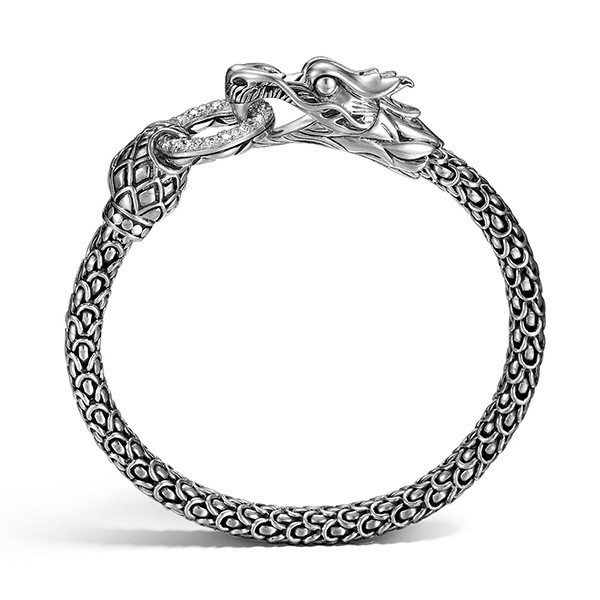 The Naga collection showcases this alluring John Hardy dragon bracelet. 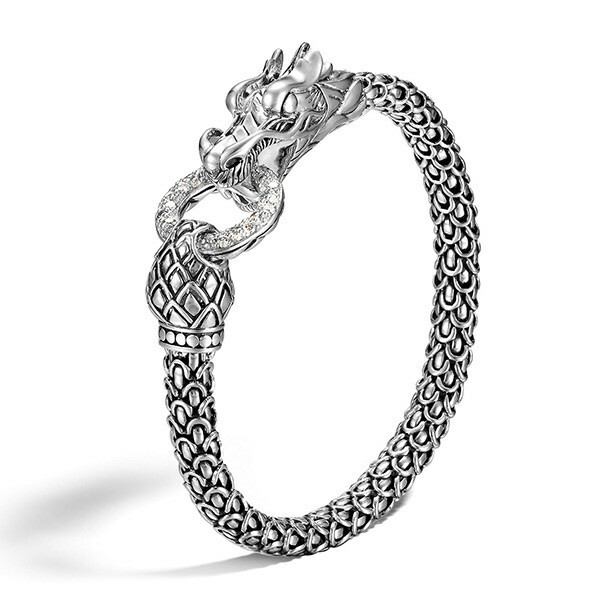 Handcrafted in sterling silver, the bracelet resembles a dragon's coat of layered scale. 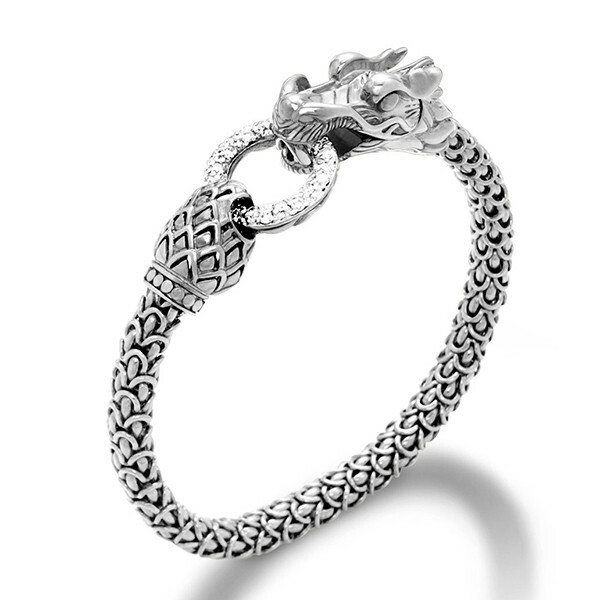 The Naga's head promotes finely detailed craftsmanship and cleverly conceals this bracelet's clasp as it clutches a ring of fiery white diamonds in its jaws. With a fashionably fierce look, you'll never want to take this John Hardy bracelet off!